I saw this idea here and knew that I had all the materials on hand to make something similar for our dining room wall that has been blank forever. 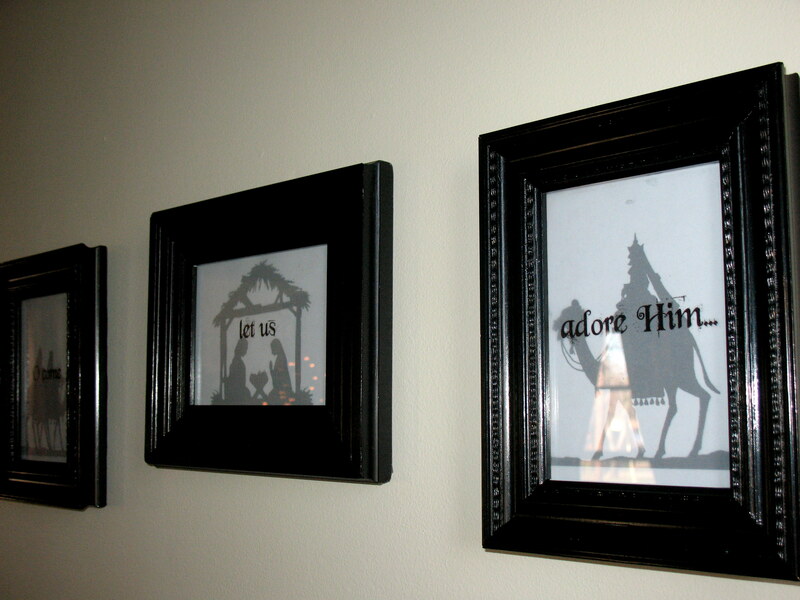 I painted some gold frames that I already had with black acrylic paint, printed some black manger scene silhouettes off the internet on plain white card stock, and printed the words, “O come let us adore him…” on opaque vellum paper I had left over from our wedding invitations (4 years ago…). Yes it will have to come down after Christmas…but it will be worth it. And I love it. 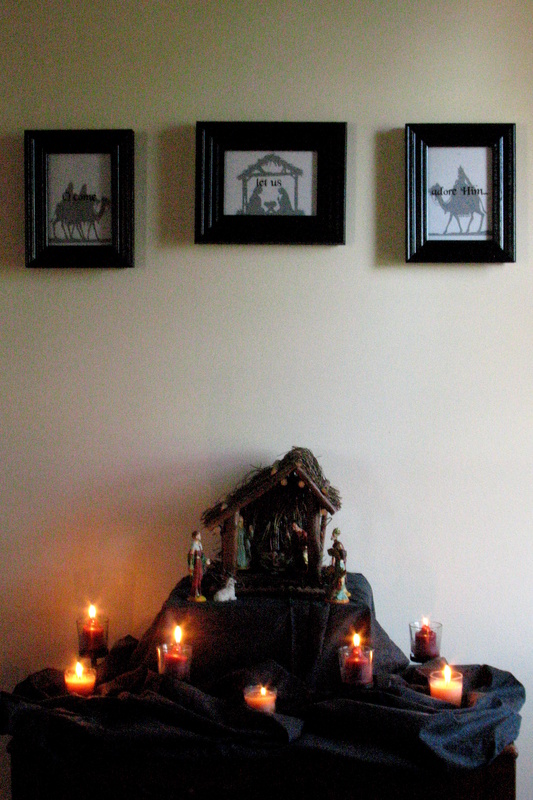 Of all of our little collection of Christmas decor, this manger scene is by far my favorite. 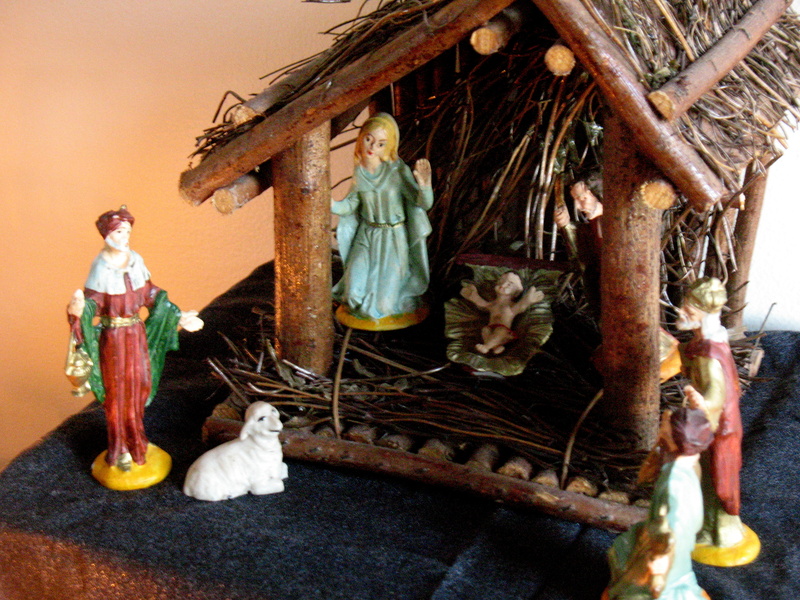 This year we used the pieces to tell Little Man the story of the birth of Jesus. Since he can’t stop talking about it, I am assuming it stuck in his little head…much like everything else. He’s such a little sponge! So thats it. 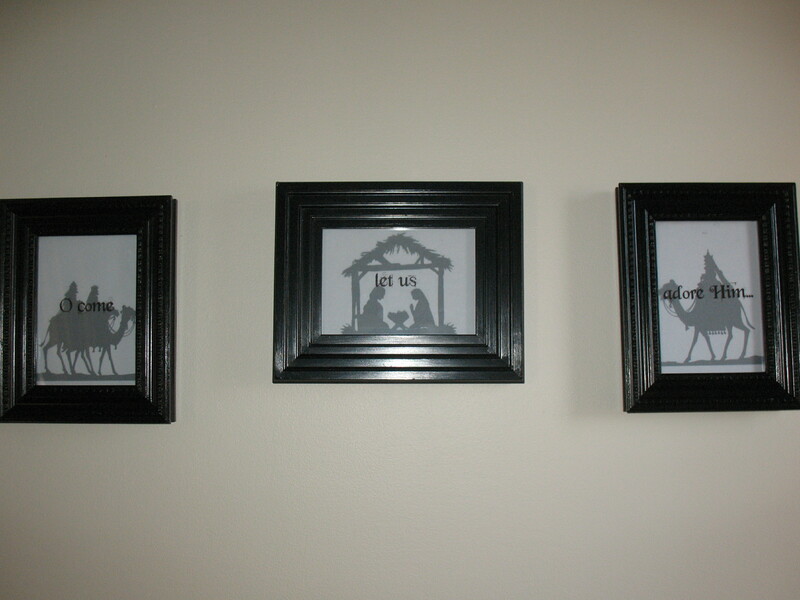 My free, Christ-centered Christmas craft. You must have gotten you crafty talent from your Grandma Tillman. Very Very Cute Love It!! !